Ever since the iPhone debuted in 2007, investors have looked to Apple supplier stocks as an alternative way to profit from the tech giant's monstrous success. And right now, circumstances are lining up to make AAPL supplier stocks an unusually strong bet. Still, it's not as easy as just buying a basket of companies that do business with Apple Inc. (Nasdaq: AAPL). After all, hundreds of companies have a relationship with Apple. 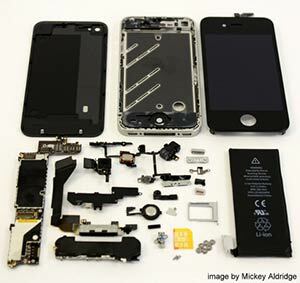 For a stock to make sense as an alternative way to invest in Apple's iPhone business, a company needs to have a large amount of exposure to Apple. That's why we combed through FactSet data to create a list of AAPL supplier stocks that derive a significant chunk of their revenue from their dealings with Apple and trade on a U.S. exchange. The suppliers most dependent on Apple live and die with it. That can pay off in a big way. 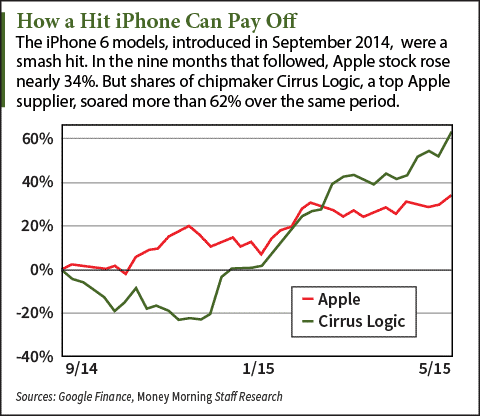 When the blockbuster iPhone 6 came out in September 2014, it sent Cirrus Logic Inc. (Nasdaq: CRUS) on a tear, rising 62% over the following nine months. Meanwhile, bad AAPL news takes a toll on Apple supplier stocks. And that's what we've been getting most recently. Just this past July, Apple suppliers took a beating in the wake of a disappointing Apple earnings report, with Skyworks Solutions Inc. (Nasdaq: SWKS) sinking 6% and NXP Semiconductor NV (Nasdaq: NXPI) dropping 5%. This week, a report that Apple had cut back on its orders for the iPhone 7 tanked the entire semiconductor sector. The Philadelphia Semiconductor index slumped nearly 5%. Expect more of these kinds of reports in the weeks ahead, which will keep downward pressure on most AAPL supplier stocks. While sales of the iPhone 7 are likely keeping pace with last year's iPhone 6s, the lack of growth will keep Wall Street in a sour mood regarding AAPL stock. This is excellent news for investors, who can buy Apple supplier stocks at an increasing discount. Cirrus Logic, for instance, is down nearly 13% over the past two weeks. But AAPL stock will rise again in 2017 and take Apple's suppliers along with it. How and when can I start buying the Best Supplier Apple Stocks? I want to the appropriate time to go for apple Stock.